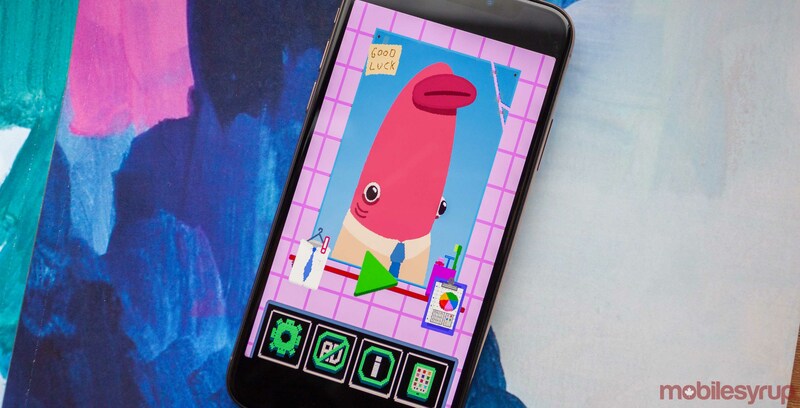 Scramble desperately to the top in Corporate Salmon, a fishy game about the exciting world of financial fish. Gameplay is simple — take your salmon and ascend the corporate escalator. Time your jumps well to climb. The escalator will try to push you down, and the financial world will try to sweep you aside. If you mistime a jump and tumble from the escalator, your corporate overlords will fire your scaley hide. To reach the top, you must flop ruthlessly. Other salmon are vying for their place at the pinnacle of corporate success. They will knock you aside and trample you beneath them. Use every advantage that comes your way. The game features several power-ups that can help you steal a higher position in the company. Well-timed jumps can net you a boost in profits and let your salmon soar. Be careful though, because losses hide around every step and will send you spiralling into unemployment. When they kick you out, take the chance to dress your salmon up in the latest office fashion before you dive back into the vicious corporate river. You must look your best when you reach the top, after all. 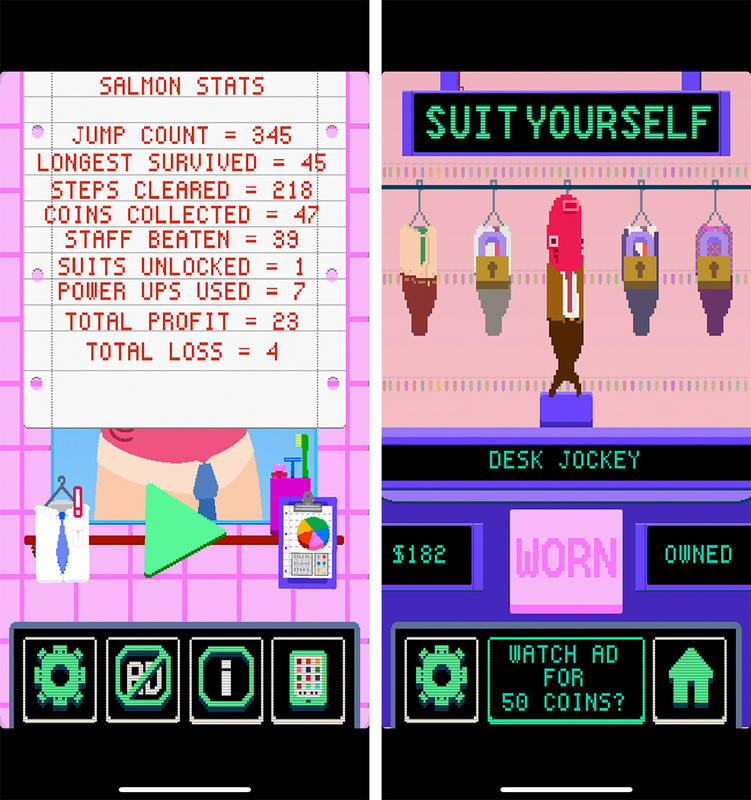 Overall, Corporate Salmon is a fun game that satires the corporate world by turning office politics into a salmon run. Aside from the simple but challenging gameplay, Corporate Salmon offers excellent looking pixel art graphics and fun character customization. I recommend you give it a try — it’s free on iOS. Ads support the game, but you can turn those off for just $2.79. However, I didn’t find the ads too distracting. You can download the game from the App Store here.